Here is a wonderful step by step portrait painting demonstration in oils done in the classical style. This is only part one of the demonstration. At the time of this post, part 2 has not yet been created. Please subscribe to the artists youtube channel here to be notified when part 2 has been published. Enjoy! In this week’s portrait painting video we are going to keep it classical. We will start off with a charcoal drawing directly onto our canvas, go over that with pastel pencil, and then create an underpainting. This is a very relaxing way of working, and it’s also an “old master” style approach. Now, I’m not trying to perfectly copy the photograph, nor am I claiming that any old master actually painted like this. 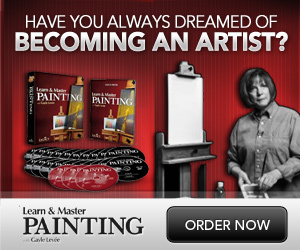 This is purely aimed at guiding you through an “old master” inspired painting demonstration.